Deanna is a certified nurse midwife by profession. She began her pursuit of this second career choice by returning to school, earning two additional degrees at the University of Florida (Go Gators), with two small children, under the age of two. Driven by a passion for women’s health and the need to tackle the mounting bills of a growing family, David who was working endless hours as a mail carrier and Deanna decided this was the best way to help their family’s needs along with gaining professional fulfillment. Fast forward 10 years and two additional children, Deanna was laboring a patient who needed something to give her a little energy for the final stages of labor. Deanna went to the nourishment room to grab an ice pop for the mom. What she found, was an old, gooey, unappealing high fructose corn syrup, full-of-nothing-good-for-you, ice pop. 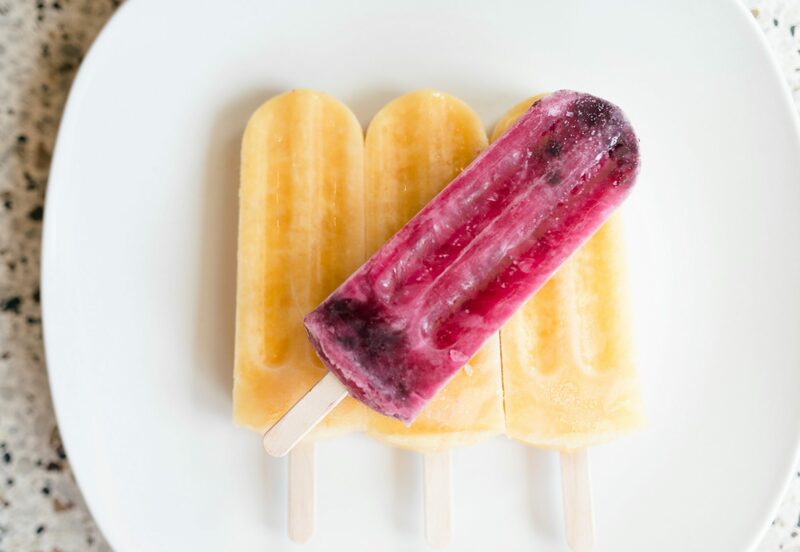 She called nutrition services at the hospital to send her a “fresh” non-gooey ice pop for her patient. She delivered the pop, delivered the patient and her day went on as normal. As she arrived home, thinking about her day, she had a “lightbulb” moment. “I have an idea!” She stated to her family. This was met with one-part fear and one-part suspicion. Oblivious to the skepticism, she enlisted the aid of her husband in researching ice pops designed for the needs of pregnant mothers. To their surprise and delight, there was no such product. This wasn’t going to be just any pop, this was a pop specifically for laboring moms and moms in their first trimester suffering from intractable nausea and vomiting. Moms who need IV hydration and are not able to consume an adequate amount of nourishing foods, liquids and especially the dreaded prenatal vitamin (gag!). The idea snowballed. Throughout 2016 and into 2017, they worked tirelessly, testing different types of formulations, flavors, and creations – most of which ended up in the trash can. Slowly, the flavors and recipes came together just as Deanna and David were inspired to call the business Essie & Olive. “Essie” was Deanna’s mother and “Olive” was David’s grandmother. They planted the seeds of love, nurturing their families with wholesome food. Many times, they had very little to work with, but by necessity and with creativity, they, like countless others, created those sense memories we all have, which in an instant, can transport us “home”. Essie & Olive represent all of the women and caretakers who inspire us daily. Thanks to tremendous support from the people who helped with everything from watching children, sourcing ingredients, and to establishing a new business, Deanna and David have been able to establish Essie & Olive, and launch the original inspiration, Essie & Olive: Cravings®.